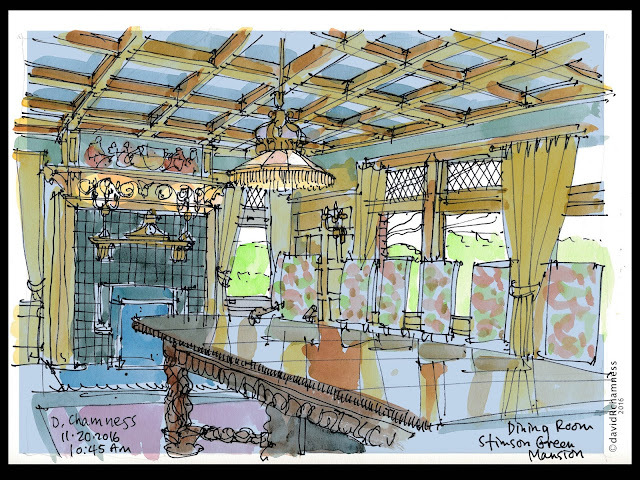 Thank-you again to the Washington Trust for Historic Preservation and Julianne for opening the mansion to the Seattle Urban Sketchers today. 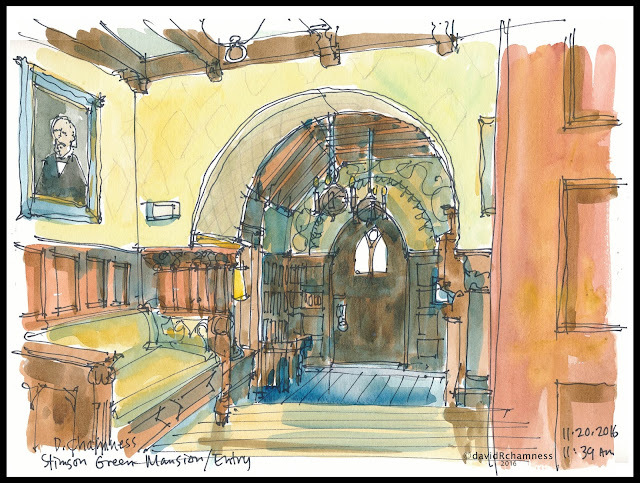 We enjoyed all the different rooms and places in the mansion for sketching at our November outing. I did a quick sketch outside of the south wing while I was waiting for everyone to arrive this morning. It was raining so I sat in my car for this view. 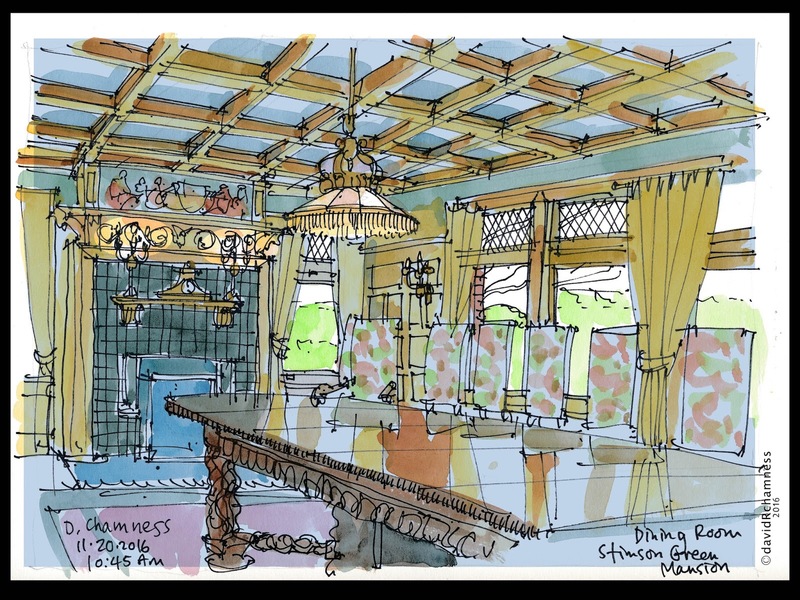 I chose the dining room for my first sketch indoors and then swiveled 180 degrees to sketch the entry way for my last sketch. The axis between the front door, through the entry, past the grand stairs, down the large table and to the fireplace is very dramatic component to the house that set the stage for entertaining guests in a very elegant manner. Love these. Stunning sketches, David.